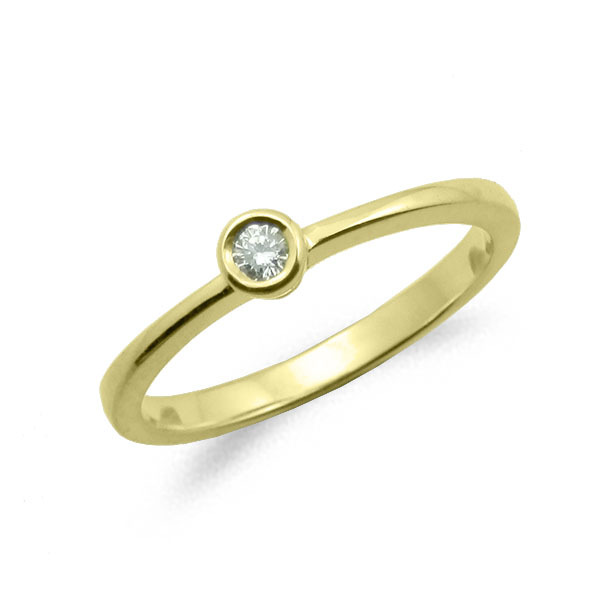 Ring yellow gold 18 kts commitment. Weight 2.50 grs. Diamond carving bright 0.04 cts V quality (scale color) HS1 (scale purity). Will certified warranty eentrega. Custom ring n.15 immediate delivery, for two numbers more or less delivered in 4-5 days. For other numbers, delivery 20 days.